Readers of this column in previous years will surely have noticed the tendency to end the year with a list. This year, I toyed with doing an Ambient Sounds End of Year list, but ultimately came to the conclusion that there were already plenty of great ones out there (the likes of Anti-Gravity Bunny, A Closer Listen, Stationary Travels, Sounds of a Tired City, Boomkat, Headphone Commute take a bow…) and nobody is really that interested in another arbitrarily ranked list of records are they? What I’ve done instead is made a big old eight-hour Spotify playlist of 2015 highlights for you to pore over. Apologies to artists who aren’t included on the basis of not being on Spotify or – and this probably applies more frequently – because I forgot to include you. Now that’s out of the way what you have here is a round up of things you may have missed in the last quarter of 2015, which seems to have been largely devoted to End of Year listville anyway. Foremost amongst the headline-worthy names entering the fray at a late stage is Oscar winning Icelandic neo-classicist composer Jóhann Jóhannsson, with the release of his new short film End of Summer. Featuring the likes of Hildur Guðnadóttir and Robert Lowe, the music is as powerful and as beautiful as one might expect, but it’s when paired with the film that it realises its true potential. Le Berger’s nailed the title of his new effort for Home Normal. Music for Guitar and Patience will – for some – no doubt appear rather intimidating. It consists of three pieces, drawn out over sixty-one minutes, and frequently appears to be doing nothing at all. In Basinski-esque fashion it flows along serenely, like a natural occurrence rather than a piece of structured and composed music. So absorbing is it that the conclusion of the hymnal closer ‘sgfoj;dfsgoj;bdgafe’ (the snappy title budget was obviously all spent on the album title) is actually rather a shock. This is one of those records that you just expect to continue indefinitely. Maybe the world would be a better place if it did. Perils is a collaboration between Kyle Bobby Dunn and Thomas Meluch (Benoît Pioulard), so it’s obviously essential listening. I was expecting something placed midway between the sounds of the two artists, but instead this self-titled album reminds me of neither particularly. True, there are some vocal tracks that nod to Meluch’s best-known project, and there are also drones that are clearly reminiscent of Dunn’s work, but slid together on this record they seem to have found a new place in the ether. There’s a sonic fragility here that is rarely discernable in Dunn’s compositions and a slightly sinister otherworldliness that I wouldn’t readily associate with Meluch’s. Highly recommended, of course. Rasa is the debut album from CHVE, also known as Colin H. Van Eeckhout of Belgium’s premier blackened sludge metal troupe Amenra. Although this is completely outside the extreme metal spectrum, it contains a similar spiritual atmosphere; except – bizarrely enough – the hurdy-gurdy is the instrument of choice. Over the course of a hypnotic (but all too brief) twenty-nine minutes it manages many of the same bases as CHVE’s main project, but it also feels entirely its own. We can only hope to hear more soon. Norman Westberg is, of course, best known for summoning the sonic force of a major hurricane with little more than a battered Telecaster and a volume pedal in Swans. 13, his debut solo release for Lawrence English’s Room40 label, is quite different however, sharing less obvious links with his band’s work than CHVE’s new material. There’s an ominous drawl about each track, reminiscent of the desolate but still beautiful prose of Cormac McCarthy or the slow motion beginnings of an avalanche in the Alps. Ian William Craig has turned plenty of heads in the last couple of years with a series of voice-dominated ambient albums (perhaps the most obvious comparison is Julianna Barwick). For those who have yet to jump on the bandwagon, Cradle for the Wanting is an ideal introduction to Craig’s distinctive sound. The edges are slightly harsher than on previous releases, and there’s a restlessness that seeps into some tracks, especially in the album’s mid-section. There’s still more than enough enchantment though, with the pair of ‘Empty, Circle, Tremble’ and ‘Shipbreaking’ being notable high points. SIGE, the label operated by Faith Coloccia and Aaron Turner, has been all too quiet this year, but the new release from the couple’s Mamiffer project more than makes up for that. In collaboration with noise artist extraordinaire Daniel Menche, the pair have crafted Crater, which might just be assured enough to earn a late shout as ambient record of 2015. Opener ‘Calyx’ is absolute perfection: a track dominated by piano swallowed and transformed by waves of noise. ‘Alluvial’ is spectral dark ambient music at its finest. ‘Breccia’ is akin to what a collaboration between Alessandro Cortini and Swans might sound like. If that doesn’t make you want to investigate this album then nothing will. Siavash Amini’s Subsiding is equally brilliant. Amini has been highly consistent over the course of his career to date, but is seemingly set on reaching new heights with each release. The title track to this album epitomises everything that Amini does so well: a heart-string plucking intro eventually gives way to colossal wall of sound drone before fading once more into peaceful solemnity. The two most important qualities for an ambient musician are surely their twin mastery of texture and dynamics. This album illustrates Amini as having a rare level of control over both. Meanwhile, the reliably excellent Helen Scarsdale Agency label has provided some end of year treats in the form of new records from both long-term zovietfrance associates Fossil Aerosol Mining Project and one half of Quiet Evenings (with his wife Rachel, aka. Motion Sickness of Time Travel) Grant Evans. The latter’s release, Brittle is every bit its title. Luminous tones drift in and out of focus without ever feeling quite secure in their position, conjuring images of Godard’s disorientating remix of modern Paris in Alphaville. Fossil Aerosol Mining Project’s The Day 1982 Contaminated 1971, meanwhile, is a collection of shadows: half formed fragments of sound (including snatches of voice). Appropriately, given its title, this is a record that feels of another time… but it is not quite possible to determine when. 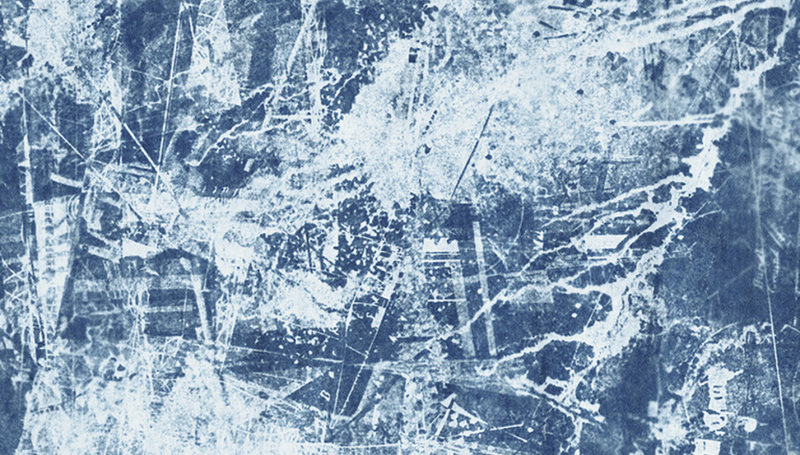 In other new release news, drone duo En have returned with their most immersive work to date. City of Brides perhaps lacks some of the panache of 2012’s Already Gone, but its varied soundscapes are nonetheless absorbing, especially on the gorgeous mid-album highlight ‘Mendocino Nature Rave’. Hakobune (Takahiro Yorifuji) has often worked in similar, if slightly less granular, territory. With 2015 having proved particularly prolific, excellent releases such as Love Knows Where and Obscured by Beams of Sorrow (with Dirk Serries) included, it was left to Mizukagami to round things off. Released by the brilliant Sacred Phrases, it’s possibly the most haunting Hakobune release to date, with eighteen-minute opener ‘Nagasaki’ a particularly affecting listen. Celer (Will Long) was equally busy in 2015, as usual putting most other artists to shame with his hectic release schedule. If How Could You Believe Me When I Said I Love You, When You Know I’ve Been a Liar All My Life can be seen as the main highlight (in all seriousness, it’s my favourite Celer record to date), that’s because of its strengths rather than the failings of other releases. Tempelhof and – especially – Soryu both emerged towards 2015’s close and both are demonstrative of Long’s incredible capability to craft emotion from disembodied, often almost anonymous, sounds. 2016 has already seen one new release from Long – who is looking to try new things over the coming months – so working backwards through the enormous Celer back catalogue from around now seems like a very good idea. Finally, in the interests of rounding up, the long-awaited new Bersarin Quartett also saw the light of day in November. It’s chock-full of languid jazz-inflected ambience, easing itself into less moody territories than its two predecessors but retaining that delicious noir feel that has made Thomas Bücker’s compositions stand out so well to date. Elsewhere, the new Cong Burn Waves tape is a kaleidoscopic cocktail of (frequently only vaguely ambient) approaches. Its strengths lie in the way these approaches bleed into one another. Close your eyes and let this release just happen to you. It’s worth your while. Commute, the debut release from Driven by Machines is a promising start from Liverpool based Chad Murray. If you can forgive the occasional lapse into overly digital soundscapes, this is an extremely pleasant record, full of shimmering soundscapes and gorgeous piano fragments; a great album to work to. Finally, George Cloke (half of ambient techno project Team Morale) has produced a wonderful sound map of the remote island of Hrísey in Northern Iceland. The map (available here:) is a wonderful document of Cloke’s month-long stay on Hrísey, and showcases an excellent grasp of the evocative potential of field recordings, accentuated by some of Cloke’s own musical touches. A fine piece of work. Read the rest of the Articulate Silences, Ambient Sounds columns here.